Book Of The Month: June 2016. Bo is abducted. 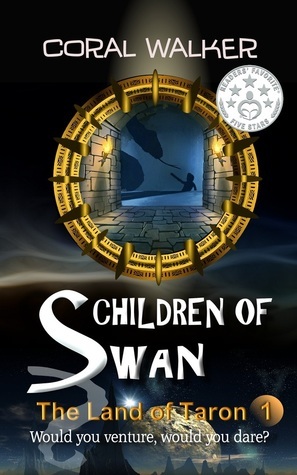 Chasing after him, his older siblings Jack and Brianna dive into a wormhole that takes them to the land of Taron, a perilous land fuelled by hatred and plagued by vicious snake-like, man-eating bokwas. Blue-skinned Baran people catch them and sell them to an arena where Barans entertain themselves watching slave boys fight to the death. Dad is there, staring at them like they are strangers. The contest is brutal; the rules are clear — one game, one survivor. Amazon Review By Vanessa Kings February 15th, 2016. Amazon Review By ZaiJen February 14th, 2016. "The author is a talented writer who draws the reader into a world far away from reality. I am an adult and I plan on reading this book several more times, because I know I have missed some parts just like any other book or movie that I watch"